When experimenting with our new sprouted Rude Health buckwheat flour we thought one it would be ideal to have a generous supply of crumble topping to keep in the freezer. Our Buckwheat Crumble topping instantly creates a delicious pudding from next to nothing, simply roast or stew some fruit, grab some compote or defrost some berries and voila – done. 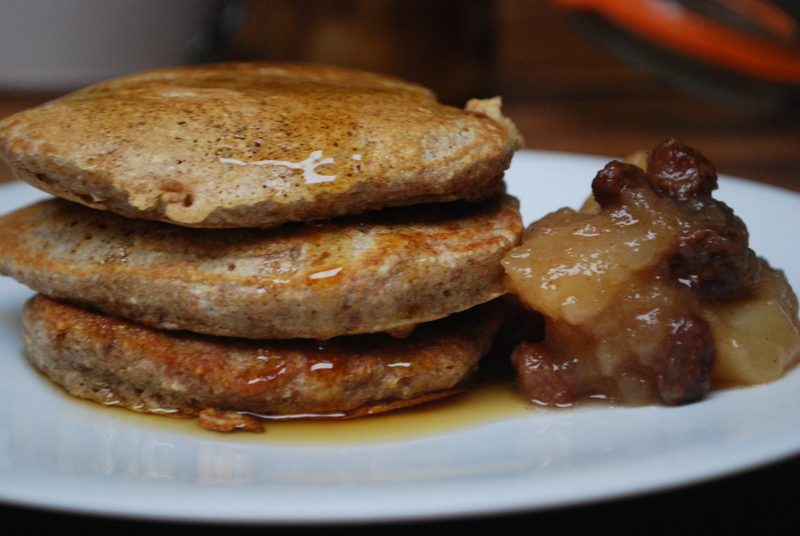 It works very well with our apple and pear compote. 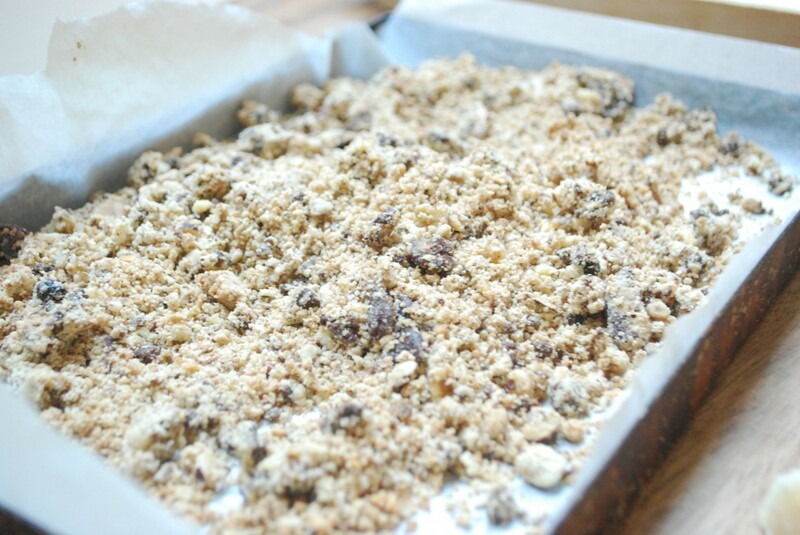 Buckwheat Crumble has a delicious nutty taste and texture and makes a welcome change from sandy crumbles. Buckwheat, despite the name (it is actually related to rhubarb! ), is naturally gluten-free too. Simply place the butter and flour into a Magimix, NutriBullet or food processor and blitz for a few seconds to help break down the butter slightly. Then add the hazelnuts and sprinkle in the muscovado sugar and pulse to combine the sugar and chop up the nuts. If doing by hand, simply rub in the butter with the flour using your fingertips in a light and airy motion. Coarsely shop up your nuts and stir through with the sugar. Sprinkle onto a roasting tray and roast for 15 minutes. Once golden, remove from the oven and allow to cool. Store in an airtight container or freeze for another day. When needed, simply sprinkle over some slow-cooked fruit or compote.